This is St John's Primary School - TOP 3% of schools in the country for pupil progress (February 2019)! Click HERE for our latest school newsletter. Come and visit us on one of our Open Days: Call us for more details on 0208 567 6251 today! 2018 / 2019 full term dates can be found HERE. Welcome to our website! Now is a wonderful time to take a look at St John’s. Finally we have a building to match our ambition, vision and provision. We moved into our state-of-the-art, Conran-designed building in January 2018, and in February we received a letter from Nick Gibb MP, congratulating St. John’s on being in the top 2% of the country for children’s progress at the end of Key Stage 2. Ofsted 2017 had already recognised that our standards in reading, writing and maths were well above national averages. 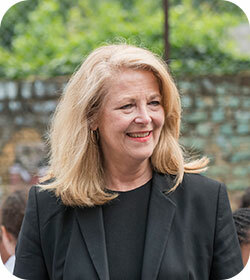 Our official opening saw us praised by author and educationist Pie Corbett as “a place of joyful learning”.